The Correspondence of Myles Dillon. 1922-1925. Editors: Joachim Fischer and John Dillon. Four Courts Press, Dublin, 1999. pp 298. HB. Myles Dillon (1900-1972) was the third son of John Dillon's five boys and one girl, and the grandson of John Blake Dillon, the Young Irelander who was a co-founder of The Nation and a member of the Commons for Tipperary. John Dillon had qualified as a doctor but soon entered politics as a supporter of Parnell and a prominent member of the Irish Parliamentary Party. He was involved in the agrarian struggles of the late nineteenth century and was arrested several times because of his political and agrarian activities. He led the anti-Parnellites after the split but was active in bringing about a reconciliation when John Redmond became the leader of the combined Party. He succeeded as head of the party when Redmond died in 1918, but he retired from politics when he was defeated in the December 1918 election at the time of Sinn Fein's electoral triumph. John Dillon was also the proprietor of a prosperous general merchants business in Ballaghdereen which was eventually taken over and managed by his fourth son, James Dillon, the subject of another biography by Maurice Manning. Myles followed an academic career and, like his brothers, was educated by the Benedictines at Mount St. Benedict in Gorey, Co. Wexford. After occupying various academic posts in Ireland and abroad, he was appointed senior professor at the School of Celtic Studies at the Dublin Institute of Advanced Studies in 1949 where he remained until his death in 1972. The 175 letters were mostly exchanged between himself and his father during his sojourn in Germany from 1922-1925 where he had pursued his postgraduate studies and earned his degree in UCD and his doctorate in Berlin. A few letters were exchanged with other members of his family and with a few academics in Ireland who were in one way or another involved with his career. The letters have no particular literary merit. They mostly deal with mundane personal, family and domestic affairs. At first I read them with little interest and even less hope of finishing the 242 pages of text. However, as I persisted, I became more intrigued, not by the specific details in the letters, but by an evolving insight into the minds and opinions of a Catholic Irish middle class and prosperous family which had been involved with the Irish Parliamentary Party since its inception 40 years earlier and which found itself and all it stood for nationally suddenly undermined by the 1916 Rebellion, the Sinn Fein electoral triumph of 1918 and the subsequent War of Independence and the Civil War. 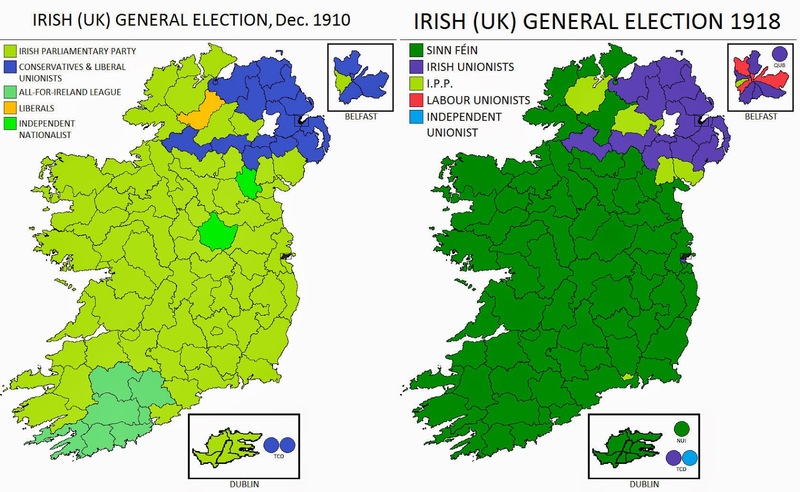 Support for the Irish Parliamentary Party (in light Green): on the left - 1910, on the right - 1918. 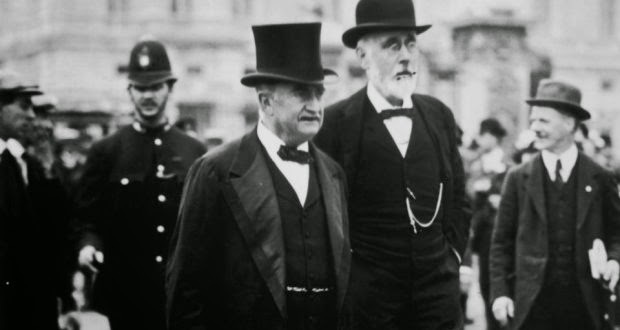 John Dillon retired, perforce, from politics after the 1918 election, but it is clear from the letters that he continued to have a close interest in Irish and international affairs. His interests, opinions and prejudices were shared by his family. They, like many others who continued to believe in the Party's long- standing policies of peaceful political progress, abruptly found themselves in a vacuum and entirely helpless in influencing the progress of the nation by 1918. It is clear from the letters that, while John Dillon and his family condemned the behavior of the irregulars during the Civil War, they also found it difficult to accept the reality of the new Free State Government and showed little sympathy with its difficulties during the Civil War and afterwards. In letter number 117 Myles writes "I sometimes say things I regret when I say anything about the Irish Government, so I say nothing". And Maurice Manning, in his biography of James Dillon, notes his subject's antipathy to the new government, an antipathy which continued up to 1932 when, as an independent TD for Co. Donegal, he voted for de Valera as the new president of the Executive Council. 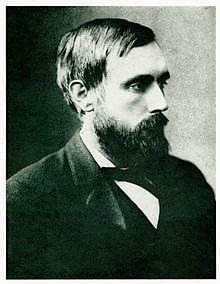 John Dillon, in his letters, was over pessimistic about the survival of the Free State Government and continued to predict dire disaster up to 1925 when the correspondence with Myles came to an end. There was an element of poignancy about this family and the wider society which they represented in Ireland in the early years of the twentieth century. John Dillon, as far as I am aware, spoke for the Irish Party and its role in Anglo-Irish politics only once after his retirement when he published a letter in the Melbourne Argus in April 1922 in response to the dissolution of the United Irish League of Australia which had traditionally supported the Irish Parliamentary Party. This letter was subsequently published by the Freemans Journal on 12 May 1923, and is included in the appendix of the book. It makes sad reading, even for those who supported 1916, Sinn Fein and the subsequent War of Independence. In it the achievements of the Party during the 39 years of its existence are spelled out in detail. He reminds us that a whole generation or more of Irish people, pluralistic in spirit if not in reality, and with strong cultural leanings, were abruptly deprived of their influence, suffered the ignominy of an outworn patriotism and, worse, were virtually forgotten by an ungrateful public and by the leaders who replaced them. To recall the achievements of the Irish Parliamentary Party is not simply a question of revisionism, but a desire to remember the achievements of the Parnellite movement which, by peaceful constitutional means, greatly improved the lot of the people of Ireland. It is a plea to include these patriots in our hall of fame with those who preceded and who followed them. 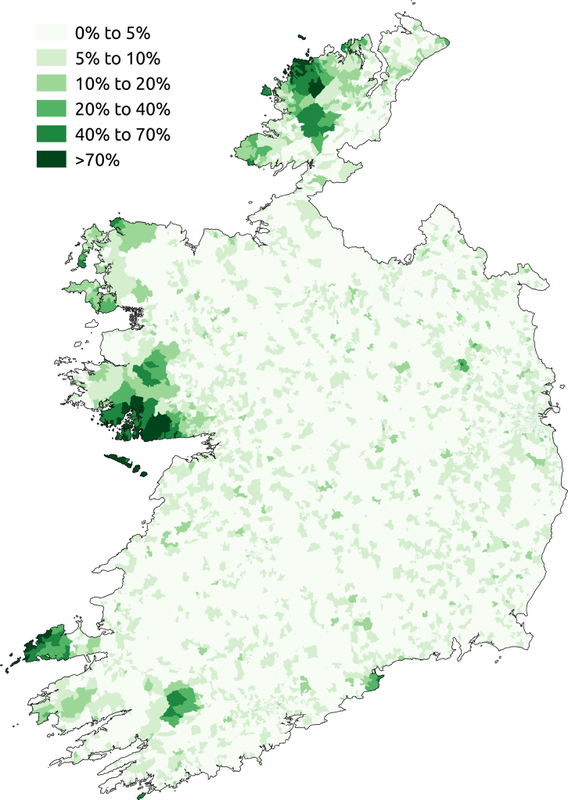 % of people in 2011 who spoke Irish daily. The Dillon family had strong cultural interests as well as their commitment to politics and business. This included an interest in the Irish language, and the language and general educational policies being promulgated by the Free State government. Myles and his father were entirely opposed to compulsory Irish being applied to the schools and, presumably, to public appointments. This was a view they shared with many others, including members of the universities and other prominent academics who had supported the revolutionary movement. 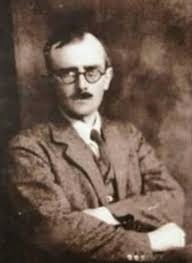 Eoin MacNeill, who was in the Free State cabinet, was earlier opposed to the concept of the Irish revival depending on the schools. Yet he supported his colleagues in proposing compulsory Irish for children. Perhaps, in the circumstances of the Civil War they might have been accused by their opponents of being unpatriotic if any other policy were adopted. One wonders if a different policy would have been adopted if the Civil War had not followed the Treaty settlement. Compulsory Irish was a policy which led to much cynicism, hypocrisy and political cant, and which, beyond any other factor, accounted for the widespread indifference to the language and its failure to be adopted as a functional tongue. My father was the minister for education in the two inter-party governments. He might have negative views about compulsory Irish just as he had negative views about the Department of Education in general but he made no attempt to change the compulsory policy almost certainly because such a change would have destabilized the inter-party government which had a very thin and fragile majority in the Dáil. The letters written in late 1922 and early 1923 contain many references to Civil War events. They are a reminder of how the civil war had degenerated into a widespread campaign of pure vandalism with senseless destruction of property, disruption of public services and unnecessary loss of life, and with no hope of military success for the irregulars. The more formal aspect of the war had ended within a few months. It should have been clear by then that the republican aspirations of the irregulars could only be achieved by political means. It is surprising to us at this distance in time that, despite one offer of amnesty and several efforts to arrange a truce, the prolongation of the conflict should not have been discouraged by those anti-treaty leaders who were later to give dedicated service to the state. Myles letters also describe the hardships of post-war Germany and the severe measures adopted by the French in particular to ensure that German reparations were paid promptly and in full. The draconian measures adopted by the French led to their occupation of the Ruhr and other parts close to the Rhine and ultimately to strong protests from the British and Americans. 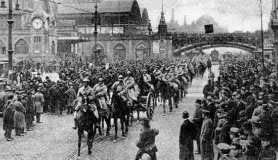 60,000 French and Belgium troops marched into the Ruhr (essential part of German industry) in 1923 and seized control of factories, mines and railways. They erected machine-gun posts in streets and took supplies from the shops. The appendix contains 42 short and informative biographical notes of contemporaries of the Dillons - journalists, politicians, academics, writers and poets. For most of those of my own middle and late 20th century vintage, they have become shadowy figures in folk memory - the Dillons themselves, Delargy, Robin Flower, Stephen Gwynn, T.P.O’Connor, Douglas Hyde, Sarah Purser, Agnes O'Farrelly, George Russell, Monsignor Boylan and others. There are 674 footnotes, all in reduced print and adding to the tedium of ploughing through the letters. However, for those with the time and the patience, they are a valuable source of information about the people and the political, cultural and academic affairs of Ireland and Europe during the early 20th Century. The apparent demise of letter writing in more recent times will surely leave a serious gap for historians and biographers of the future and for idle commentators such as the author of this essay.